The current Hoosier State delegation isn’t any different. Even though multiple members have young families, they have made different residency decisions. And two of them, Reps. Marlin Stutzman and Todd Young, are set to face off in a competitive Republican Senate primary next year. “It helps me stay closely in touch with the people I represent, it informs my decisions, and it has made me a much more effective U.S. representative,” Young added. Stutzman made a different calculation. The Stutzmans’ decision to home-school their two boys gives them flexibility to split time between their 3rd District farm and the house they purchased in Alexandria, Va., where they also co-own a boutique bridal shop with the congressman’s sister-in-law. “There’s not a perfect answer,” Stutzman added. While decisions involving spouses and young children are typically personal, there is underlying tension, based in part on how Stutzman’s predecessor left office and how residency has been used as a campaign issue in Indiana races for more than a decade. 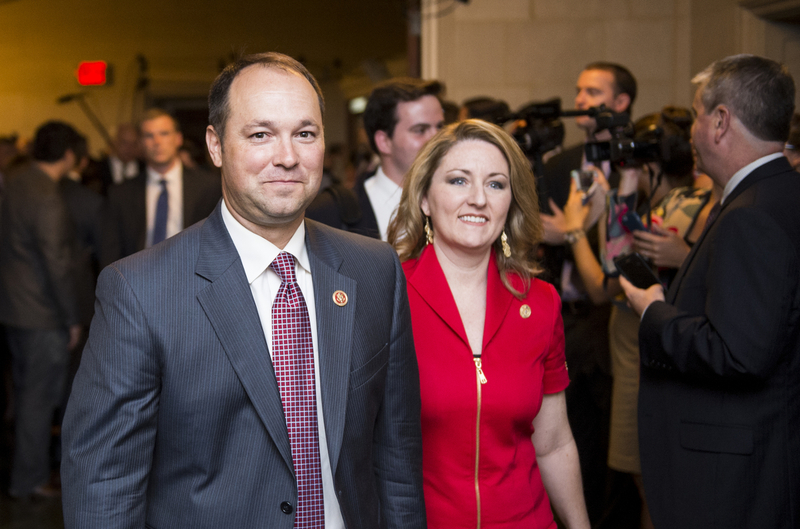 According to multiple GOP sources, Stutzman cited former Republican Rep. Mark Souder’s extramarital affair as part of his rationale to bring his family to the D.C. area. But Souder didn&apos;t appreciate being part of Stutzman&apos;s argument. “I sinned, but it had nothing to do with where my family was,” Souder told CQ Roll Call. The Republican had a young family when he was first elected in 1994 and never moved to D.C. during his 15 years in the House. Before he won the race to replace Souder, Stutzman ran for retiring Democrat Evan Bayh’s Senate seat and took issue in the GOP primary with former Sen. Dan Coats’ residency . Coats was an easy target since he hadn’t spent a lot of time in Indiana since he left office in 1999, previously talked about making North Carolina home , and had to register to vote in Indiana before announcing his candidacy. But multiple Republicans pointed out that Stutzman bought a home in Virginia in 2011 after attacking Coats on residency in the 2010 election. Stutzman isn’t the only Indiana member with a young family to have a residence in the Washington area. On the other hand, GOP Rep. Todd Rokita’s family, which includes two young boys, lives in Indiana. 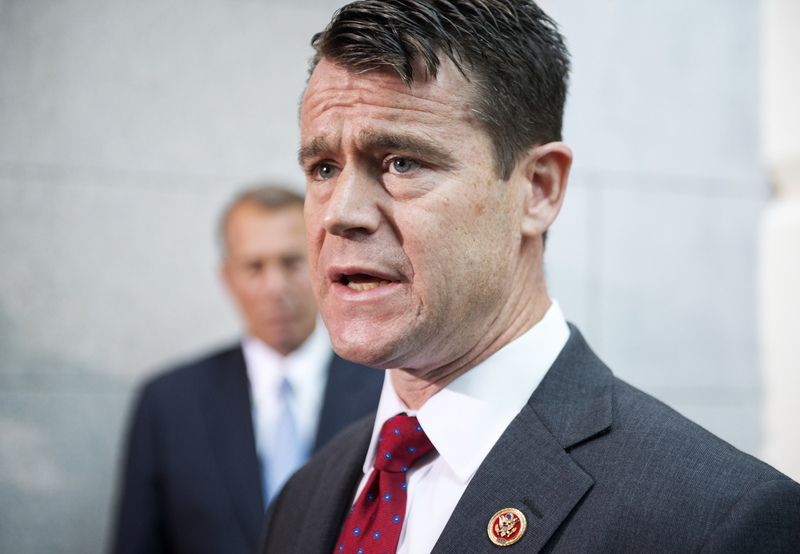 One of the congressman’s sons has Angelman Syndrome , and sources say he benefits from routine. Where to Live Is Nothing New to Indiana Delegation The residency discussion among Indiana Republicans goes back at least two decades. On election night 1994, Souder recalled receiving a congratulatory call from former Vice President Dan Quayle and arguing over the issue. Quayle moved his family to D.C. during his time representing Indiana in the Senate and House, and kept a token residence in Huntington in an apartment of the newspaper building his parents owned. In a front-page story in February 2001, “Freshmen Calling D.C. Home,” then-GOP Rep. Mike Pence told Roll Call he relocated his family to Washington based on Quayle’s advice. According to multiple sources, Pence has been an advocate for members moving their families to D.C. But Quayle and Pence are not the only voices members are listening to. Stutzman told Roll Call recently that he talked to Pence and Ben Quayle, the former Arizona congressman who grew up in Washington as the former vice president’s son, before making his decision. Young consulted fellow military veteran Geoff Davis, a former four-term congressman from Kentucky, among others. According to GOP sources, there is no official policy or unofficial advice from House leadership or the National Republican Congressional Committee on whether members should or should not move their families to Washington. But members past and present agree that GOP leadership’s adherence to a predictable schedule consisting of fewer, longer days in session makes it easier to be present in their districts with their families. Getting back to the state, or not getting back, has been a critical issue in Indiana. In 2012, residency issues helped put an abrupt end to GOP Sen. Richard Lugar’s career. During the primary, opponents brought up the fact that the legendary senator hadn’t owned or rented a home in Indiana since 1977 and stayed at a hotel when he traveled back to the state. Lugar lost the primary to Richard Mourdock. That same cycle, residency also dogged former Rep. David McIntosh when he tried to come back in the 5th District. He lost the GOP primary to now-Rep. Susan Brooks. In the gubernatorial race, Pence’s Democratic opponent attacked him , unsuccessfully, on residency. Will Residency Be an Issue in Indiana Senate Race? In 2000, Republican Chris Chocola brought up residency in his challenge to Democratic Rep. Tim Roemer, who had moved his family to the D.C. area. “I made an issue of the fact that he didn’t own property or pay property taxes in the district,” Chocola recalled to Roll Call. Although Roemer had used his district office address for his driver’s license, the incumbent won re-election 52-47 percent. Chocola believes the residency issue factored into Roemer’s decision not to seek re-election two years later. Democrats cleverly redrew Chocola outside of the 2nd District and tried to make that an issue, but the Republican won the open seat. But will residency be a deciding issue in this year’s Senate contest? The underlying theme for a residency attack is the candidate has allegedly lost touch with a particular state or district. In this case, Republican sources say Stutzman does a good job of being present in the district, to the extent that some of his constituents are unaware that the incumbent’s family has a Virginia residence along with their farm in Howe. But in a crowded field where interested groups are looking for any distinctions between the candidates — and with some strategists already concerned Stutzman could make it difficult for Republicans to hold the seat in a general election because of his conservative reputation — it shouldn’t be a surprise if residency comes up in an Indiana race once again. An earlier version of this post misstated when Coats left office. It was 1999. It also misstated where Young attended college.